The production stars Damian Humbley as Mac, Katrina Bryan as Stella, Matthew Pidgeon as Gordon, and Simon Rouse as Happer. 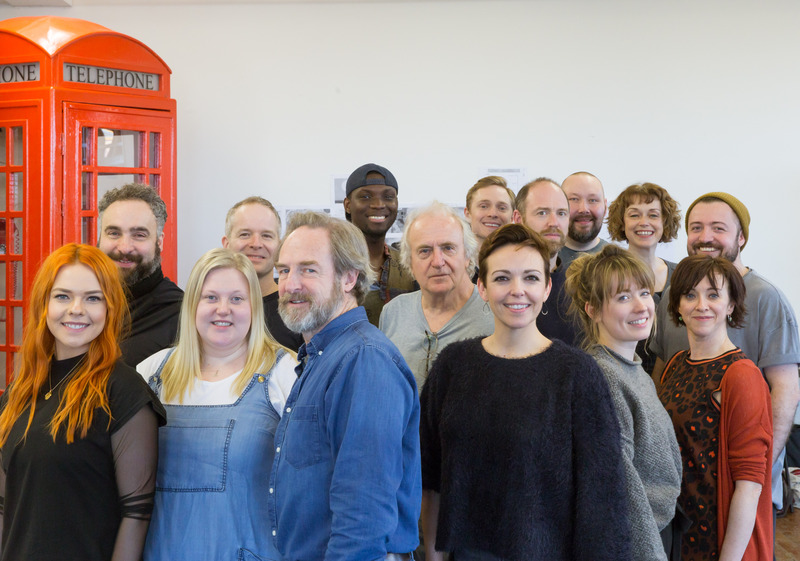 The cast further includes Scott Ainslie, Caroline Deyga, Julian Forsyth, Emmanuel Kojo, Helen Logan, Suzie McAdam, Matthew Malthouse, Joanne McGuinness, John McLarnon, Adam Pearce, and Wendy Somerville. (L-R) Suzie McAdam, Scott Ainslie, Caroline Deyga, Damian Humbley, Julian Forsyth, Emmanuel Kojo, Simon Rouse, Matthew Malthouse, Katrina Bryan, Matthew Pidgeon, Adam Pearce, Joanne McGuinness, Wendy Somerville, Helen Logan, and John McLarnon. Photo credit: Stephen Cummiskey.